Constructed from a combo of Split Leather and hard shell plastic, this Samsung S4 Mini case is one of the finest that money can buy. This S4 Mini case provides excellent protection from day-to-day damage such as scratches, scuffs, dents and casing chips; it's a fantastic choice for keeping your phone free from harm. It's not just protective, though. This Galaxy S4 Mini case also comes with a number of utility features. These features include a hard plastic interior, for easy fitting and additional scratch prevention - ensuring that the Split Leather Mini S4 case provides maximum protection! The Samsung S4 Mini cover also has a front-facing leather partition. When the magnetic clasp is closed, this layer of Split Leather provides an additional layer of defence against scratches, dents and dust, preserving the crystal-clear clarity of your S4 Mini for longer! Don't worry about accessing your touchscreen, either; a magnetic clasp at the front of the Samsung Galaxy Mini cover allows you to quickly and intuitively open the case in the event of calls or texts. This makes the Samsung Mini S4 case both convenient and protective! 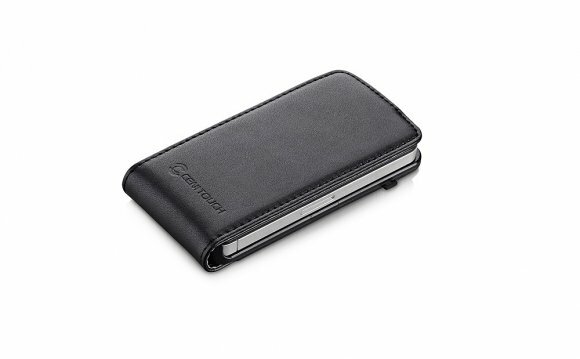 The Split Leather Samsung Mini S4 case also has a cut-out port in its back portion; this enables you to access the camera of the phone whenever necessary, allowing you to take photographs and snap video footage even while the case is equipped. Providing the perfect blend of protection and usability, this is definitely one of the best Samsung S4 Mini phone cases around! Split Leather is manufactured from the part of the hide left once the top-grain has been separated from the hide. It then has an artificial layer applied to the surface and is embossed with a leather grain in order to have a better finish.